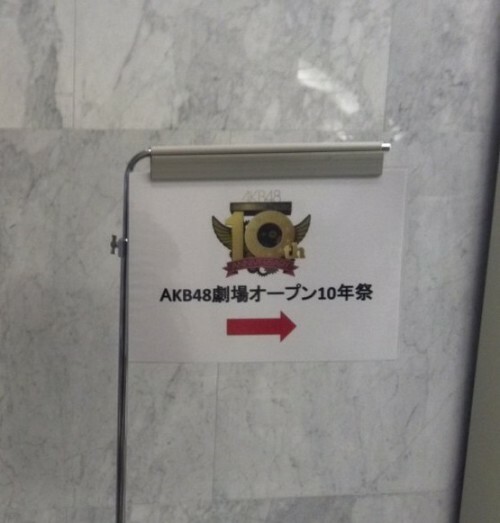 On Dec 6, 2015, AKB48 held a special 10th Anniversary Event. 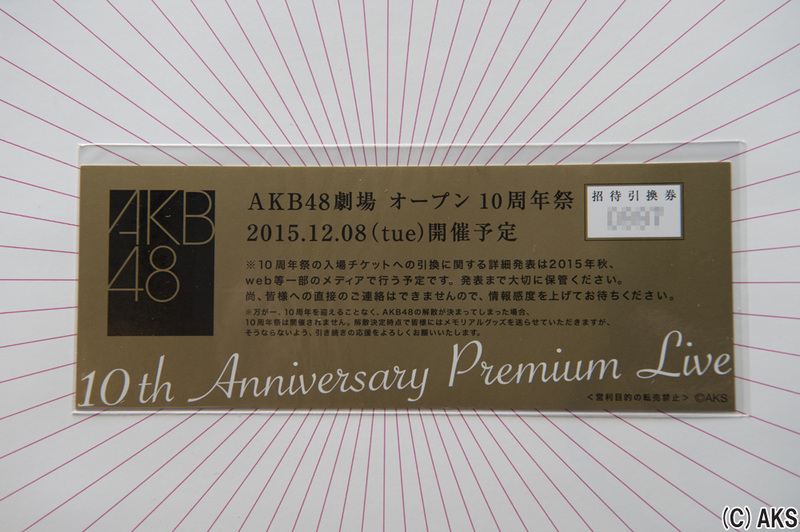 This event was due to a special 10th Anniversary ticket that was included in the limited 2nd Anniversary Album released in 2008. Only 2000 copies were available at a price of 48,000 yen (50,400 yen with tax). 500 fans that had registered their name and still had that special ticket participated in the event (they were called the Legend Fans). 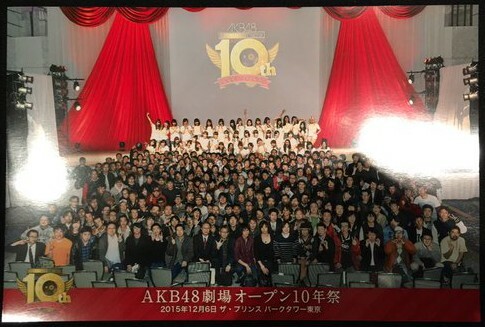 300 fans who won tickets via lottery from the “0 to 1 no aida ni” album also took part. The event was held at Prince Park Tower Tokyo Convention Hall. Existing and graduated members from 1st to 3rd generations took part, plus a few more current members that are part of Kuchibiru ni Be My Baby senbatsu. During the early MC, Takamina said, “Mayu & Yukirin, how is it with all the graduated members here? From rehearsal, you were pretty quiet.” Yukirin revealed it was because she was so nervous and then asked Mayu what time she slept. Mayu answered 4am because she so nervous and couldn’t sleep. Yukirin said she slept at 5am. Each generation had an MC where they talked about certain events, the 3rd generation mcs talked about various things such as getting First Place at Request Hour with Shonichi. One of the things was also Yukirin starting the talk with “MatsuYuki, what da?” This is in referenced to Matsuoka Yuki’s white blonde hair. MatsuYuki revealed that she is now working as a dancer in US and Europe. Harugon added that when she first saw her, she thought a person that she doesn’t know came. For the final song, Sakura no Hanabiradachi, the members sang it with the fans and it was revealed that the recorded audio will be included in the next album. Credit to Youtuber Canon for compiling all the news clips! Personal note: It was so amazing to see all the pics of the Kami back together again. The Flying Get performance with Yukirin, Acchan & Yuko was just pure joy to see!!! base on that twitter report, yukirin really thoughtfull for her girls fan not to mention that she was also an experienced wota. god with BIG3 reunited is the best moment ever! if 3 of them had one more cahnce to lead one single again, i bet there is no award they wouldnt won.